Maps show how de Masionneuve bike path would interconnect to Dalle Park and to the Lachine canal which was promised by the MTQ. Sign the petition below if you want to see it built. 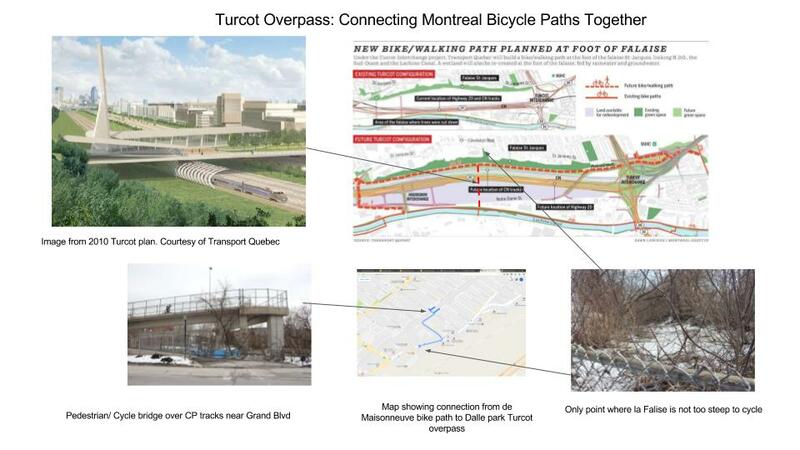 Add your name requesting that you want the Dalle Park overpass connecting the de Masionneuve and Lachine canal bicycle paths to be built.